WEST YELLOWSTONE, Mont. 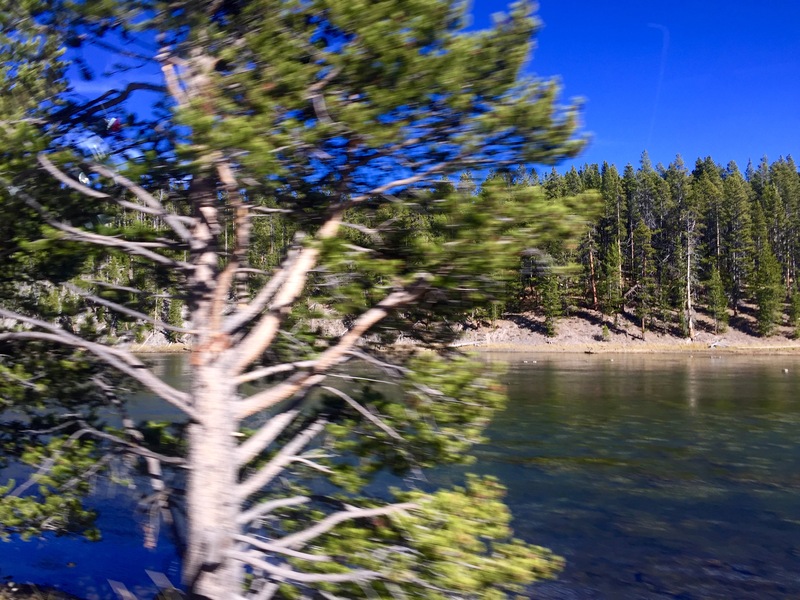 – Yellowstone National Park is primarily dominated by green trees accompanied by mountains and hidden geysers. But deep within the park also lies a large area characterized by dark blue waters with pine-covered shores known as the Yellowstone Lake. It is located inside the Yellowstone National Park. Yellowstone was the first national park, established in 1872. The park is located in Idaho, Montana and mostly Wyoming. Yellowstone attracts millions of visitors each year due to its wide variety of activities and sightseeing. Canyons, geysers and waterfalls all gives this huge park and active volcanic area a unique tone. Scenic Yellowstone Lake attracts most of its visitors during summer (Photo by Maria Hernandez). Yellowstone Lake is not an ordinary lake. It’s the largest high-altitude lake in North America. 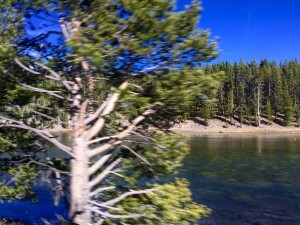 The lake lies on the southeast quarter of the Yellowstone Caldera. It was formed about 640,000 years ago by an eruption. The lake has 141 miles of shoreline and is 14 miles wide by 20 miles long. It may seem tranquil and serene from above, but there’s another world below. Active hydrothermal vents and eerie spires that were once hot springs can be found below the surface of the Yellowstone Lake. During winter, the high elevation of the lake guarantees the safety of the top. The surface gets covered by a thick layer of ice. Nearby geysers and hot springs generate enough hot water leading to melted holes in the ice, even in the coldest days. The lake is frozen from mid-December to May or June. The Yellowstone Lake draws frequent attention to thrill seekers who visit the area. Some of the lake activities include fishing, boat tours, kayaking-canoeing and hiking trails. 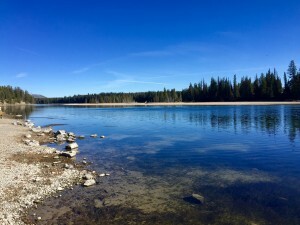 “The most popular season for the lake is the summer,” said Rebecca Roland, a park ranger at the Old Faithful Visitor Education Center who has been working at national parks for nearly 15 years. “During winter you can only come with a guide,” she added. A panoramic view of the Yellowstone Lake (Photo by Maria Hernandez). In late summer, the lake’s temperature becomes more bearable for visitors, according to the Yellowstone Resources and Issues Handbook 2015. Even though swimming is allowed, it is highly discouraged due to the cold waters and potent currents. The water layers have a different temperature starting at 66 degrees Fahrenheit and colder. The survival estimated time for anyone in the lake is only 20 to 30 minutes. “The most famous activity on the lake is probably taking boat tours. But, a lot of people go boating or fishing as well,” said Roland. Motorized boating is only allowed on most of the Yellowstone Lake while non- motorized boating is allowed on most of the park’s other lakes. All the vessels in Yellowstone require a boat permit and the boat must be inspected using National Park Service procedures by park officials. All boaters must follow the regulations. The rules include that water sports activities are not allowed to ensure the visitors safety among others. Boat permits can be purchased at the South Entrance, Grant Village Backcountry Office and Bridge Bay Ranger Station. 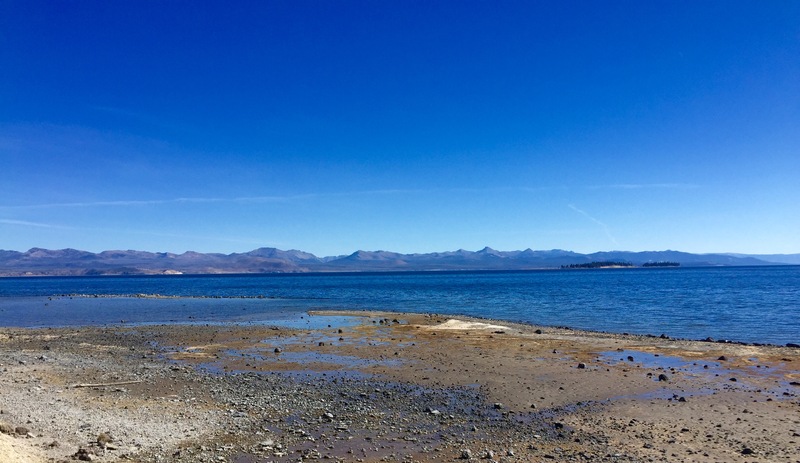 Yellowstone Lake mountain view from the shore (Photo by Maria Hernandez). The only fishing method allowed in Yellowstone is angling. It means that the fisher uses the single rod method. All other fishing techniques are prohibited at the park. Anglers must have a valid Yellowstone National Park fishing permit, be 16 years of age or older and follow all the regulations to be granted the access to fish. Anglers can purchase either a $18 three-day permit, a $25 seven-day permit or a $40 season permit. A state fishing license is not required in Yellowstone National Park. Fishing season begins Memorial Day weekend and goes on until the first week of November. 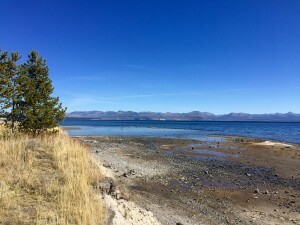 The Yellowstone Lake can also be appreciated through hiking trails. “The most famous lake trail is Elephant Back Mountain trail,” said Amy Bartlett, Yellowstone spokesperson. The Elephant Back Mountain trail begins on the main highway between West Thumb and Lake Village. Precaution must be taken in consideration due to the fact that grizzly bears can be found along the route. It has a picturesque overview of the northern part of the lake. The hike takes approximately between one to three hours. 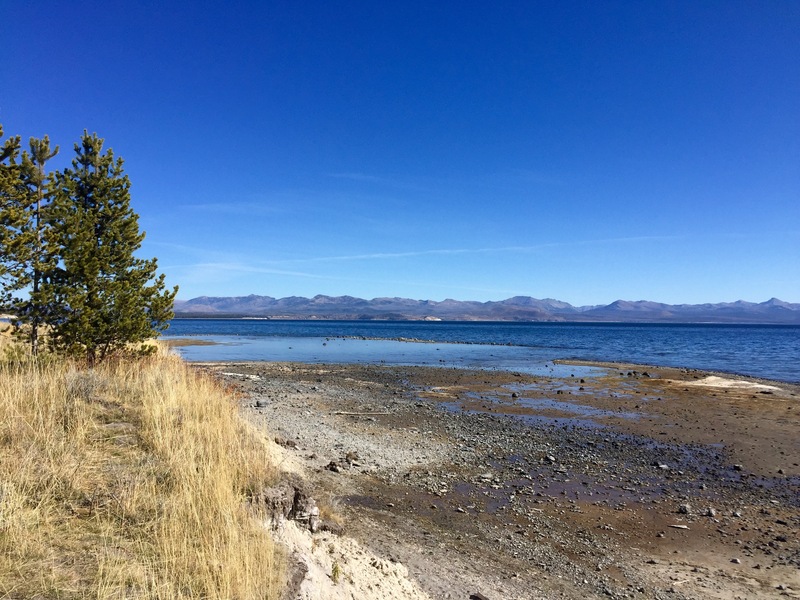 A roadside view of the Yellowstone Lake (Photo by Maria Hernandez). Fishing Bridge Museum and Visitor Center exhibits Yellowstone Lake’s geology and parks’ birds. Open from May 23 until Sept. 30. Located one mile off the Grand Loop Road on the East Entrance Road. Grant Village Visitor Center describes the park’s historic fires in 1988. Open from May 23 until Sept. 30. Located on the shore of the West Thumb of Yellowstone Lake one mile off the main road at Grant Village Junction. West Thumb Information Station offers information about the Geyser Basin on the shore of the Yellowstone Lake. Open from May 23 until Sept. 30. Located on the West Thumb.